For many years Monique's has been a place for me to unwind and relax. 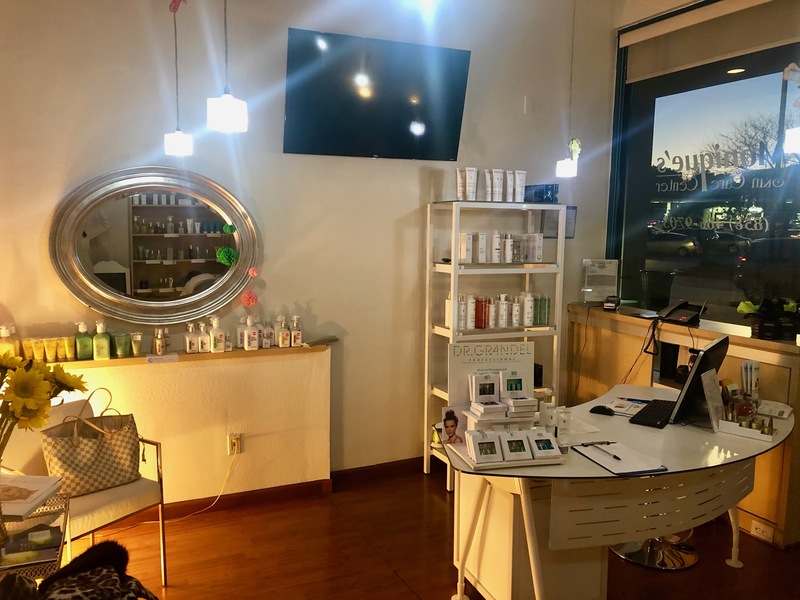 Besides providing the best in skin care, Monique and her talented staff are extremely caring, gracious, and professional. I always feel truly pampered and special with every visit, and my skin always looks great. I look forward to my ongoing experience at Monique's that leave me with both renewed beauty and added benefit of an uplifted spirit. Indulge yourself, once you are pampered by Monique and her caring staff, you will no longer settle for less. For fifteen years, Monique has helped me to maintain a youthful appearance with monthly facials and an exceptional home program. A combination of high quality products and superb technique keeps me coming back. She has advised and treated both my children and has won my husband's respect for assisting him with his skin care regimen. Monique and her staff are professional, friendly, and always make me feel special. I have been getting facials from Monique once a month for the last 12 years and have not missed a month yet. I continually get complimented on the condition of my skin, and people are always surprised to learn my actual age. The facials at Monique's are exquisite and I wouldn't trust my skin to anyone else. Monique is an expert in her field and knowledge of skin care and product. If you want a truly delicious experience, you will find it here. From facials to waxing, Monique pampers you and makes you feel like you are her only client. She is a skilled artist and an expert on skin care and products that truly make a difference. I highly recommend this salon! My teenage daughter is extremely particular about her beauty needs and has been coming to Monique's for the last 6 years. There are only two people in the world she will allow to take care of her waxing and skincare needs, and they are both at Monique's. The kindness and sensativity they have shown her have made her a customer for life. Thank you from a father.